Among the many myths that pervade the nonprofit sector, the Overhead Myth is perhaps the most destructive. It is the erroneous idea that nonprofits must keep their fundraising and administrative costs cripplingly low, which leads to anemic organizations that are not as effective as they could be. In fact, the disparity between the nonprofit and for-profit sector in investment in strong organizations is striking. As just one example, research from the Foundation Center found that in 2011, the business sector spent $12 billion on leadership development, whereas the nonprofit sector spent $400 million. Or, viewed another way, businesses spent $120 per employee on leadership development, whereas the nonprofit sector spent $29 per employee. But the reality is that nonprofit organizations are no different than for-profit organizations in terms of overhead. Last summer a Bridgespan study analyzed the indirect costs of 20 different nonprofit organizations and found, not surprisingly, that overhead rates vary greatly depending on the business model and industry of a given organization (just as it does in the for-profit sector). Some nonprofit, philanthropic, and government leaders are recognizing that we must move beyond the Overhead Myth and start building stronger nonprofit organizations. This is partly due to the Overhead Myth campaign, launched in 2014 by GuideStar, CharityNavigator, and BBB Wise Giving Alliance with their famous “Letter to the Donors of America” and follow up “Letter to the Nonprofits of America,” which argue that nonprofit leaders and funders must stop judging nonprofits by their overhead rate — and instead focus on a nonprofit’s results. So the idea is that instead of evaluating the effectiveness of a nonprofit organization based on how it spends money, funders would move to evaluate the effectiveness of a nonprofit based on the results it achieves. This campaign has gained some traction. The federal government and some local governments have moved to increase the indirect costs paid to nonprofits, which means more money for things beyond direct program costs. But unfortunately, we are far from overcoming the Overhead Myth. An article just this month in Philanthropy Daily extoled the virtues of the Salvation Army because “the most effective nonprofits are those with lean management. The Salvation Army is a constructive example of an effective charity with very low overhead.” And a recent article in Forbes profiled five nonprofit leaders advising other nonprofit leaders about how to keep overhead costs low. There is still much work to be done in recognizing the need for and investing in strong, effective nonprofit organizations. Which is where progressive funders, like those who will be attending the 2017 CEP Conference in Boston in April, come in. If a critical mass of funders could start supporting nonprofits to create strong and effective organizations, we could perhaps overcome the Overhead Myth once and for all. Working with their nonprofit grantees to uncover the full costs of their work. Instead of hiding or severely limiting non-program costs, nonprofit leaders must fully analyze, report on, and fund ALL of the expenses necessary to achieve results. Uncovering the capacity constraints that impact their grantees. Funders must actively work with their grantees to determine what is standing in the way of building stronger, more effective organizations — and then fund the solutions to those hurdles. Moving from program-specific funding to unrestricted, general operating support of the organization. Investing in the revenue-generating functions of their grantees. It takes money to create mission, so we need more investments in sustainable financial models, which includes (among other things) smart plan development, recruitment of effective revenue-generating staff, and training of board members on their role in the financial model. So to help move this conversation and work further, I will be moderating a breakout session at the 2017 CEP Conference titled “Supporting Nonprofit Sustainability,” where Jacob Harold, president and CEO of GuideStar, Vu Le, nonprofit blogger and executive director of Rainier Valley Corps, and Pia Infante, co-executive director of The Whitman Institute, will be discussing how foundations can start advocating for and investing in stronger, more effective nonprofit organizations. If nonprofits and those who fund them could overcome the Overhead Myth once and for all, it could be a watershed moment for social change. It would be the point at which we move from a nonprofit sector that is just trying to get by to a nonprofit sector that is armed with the people, infrastructure, and systems necessary to deliver on lasting social change. I hope you’ll join us for what promises to be an exciting conversation. 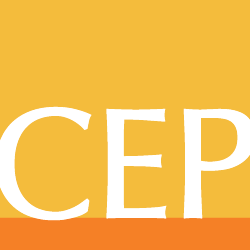 The 2017 CEP Conference, “Leading Effective Foundations,” will be held April 4-6, 2017 at the Boston Park Plaza Hotel. Register for the conference here. Nell Edgington is president of Social Velocity, a management consulting firm for nonprofits. At Social Velocity she helps nonprofit leaders chart a strategic direction, achieve financial sustainability, engage their boards, and become more effective leaders. She also writes and speaks extensively, including authoring the popular Social Velocity blog about moving the nonprofit sector and the philanthropy that funds it to become more effective at creating social change. Follow her on Twitter at @nedgington.